If you’re a farmer, or aspiring to be one, there are many facets of agriculture to consider. Rainy seasons, cross-germination, plot preparation, and more; these pieces will all come together eventually, but we would like to smooth out the process for you. Before your seeds hit the soil, or you invest in livestock, here are some basic farm/agri-business terms to know. Hopefully, defining these terms will give you a jumpstart to your new farming enterprise. Double cropping refers to the practice of planting two crops on the same piece of land within a calendar growing year. It is mostly done with field crops, such as wheat and grains, but there are a few others that can be double-cropped as well. Deciding to plant two crops within one year may change your crop insurance. The choice is up to you and your faith in the soil and the weather. Dry farming refers to land where field crops are planted that does not have an irrigation system in place. Dry farming relies on natural rainfall for the growth of crops. This typically creates more risk in your farm’s yield. In regions where the rain is predictable and plentiful, you may decide that it is worth the risk. For permanent plantings, such as fruit trees, a crop is produced for several years. The time frame in which a typical permanent plant produces a crop is called its economic life. For example, if an apple tree has a typical lifespan of 25 to 30 years, and it takes three years to first bear fruit, then its economic life will be 22 to 27 years. The longer the economic lifespan, the more productive the yield overall. 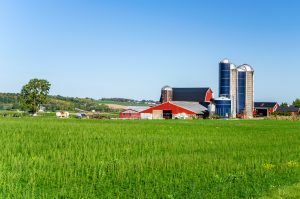 Gross acreage refers to the total size of your farm. Net farmable acres, however, refers to how much land can actually be used to grow crops. This is typically found by taking the gross acreage and subtracting the area taken up by things such as roadways, ditches, etc. For example, if a farm’s gross acreage is 20, and it has a small creek running through one acre, then its net acreage is 19. Crop insurance premiums are based on the number of farmable acres you actually plant. Knowing the economic life of a crop, the remaining economic life can be determined by subtracting the current age of a crop. For instance, a crop with a 25 to 30-year economic life that is already 10 years old will have a remaining economic life of 15 to 20 years. This term refers to a set measurement commonly used in Agribusiness. A section of land is one mile by one mile, which contains 640 gross acres. Partial sections can also be used, such as a half section representing 320 gross acres. We hope having these terms under your belt will make getting your farm started less daunting and more exciting. 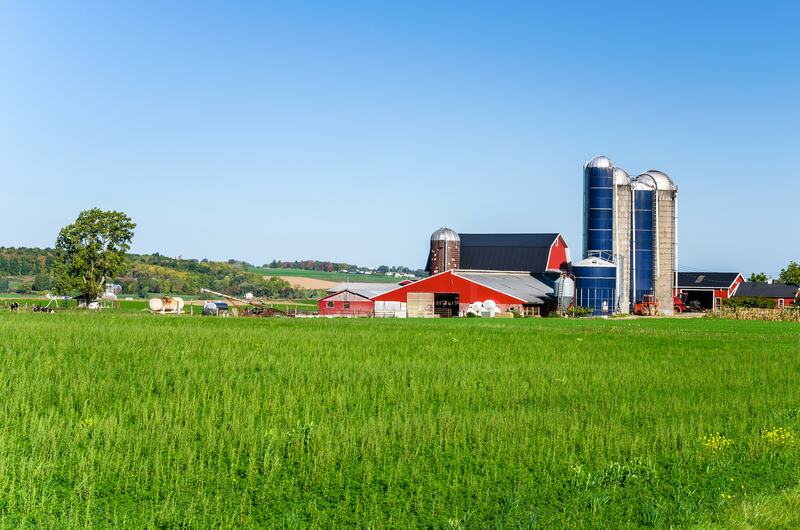 Contact Ruhl Insurance at (717) 665-2283 today to make sure your farm and crops are protected by the right insurance coverages!